Peter is a recent convert to the delights of painting Mirliton figures. He started with some knights from the Later Swiss & Burgundian Wars range and has moved on to the Crusaders & Teutonic Knights featured here. I must remember to ask where Peter got his flags from. Peter called me today to tell me he got his flags for free from Matt Haywood's DBM site. 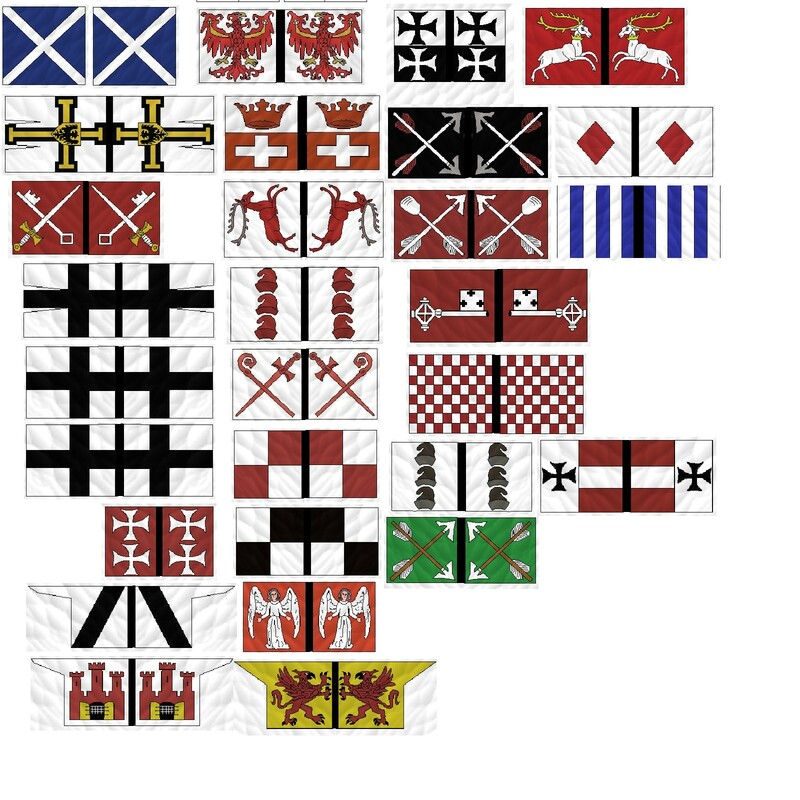 There are also other useful Teutonic links on the Vexillia medieval links page including two sites with free flags.